As a bankruptcy attorney in Chicago, I meet with countless people every year who are often more concerned about their credit scores then actually getting out of debt. There is a fear that filing bankruptcy will take the credit score to the point where the person will not be able to obtain credit in the future. It is at that point where I looked the client directly in the eye and ask, “How good is your credit score right now?” Most often, they reply that their credit is not very good. Thus, filing a bankruptcy and eliminating debt should be more of a priority then wondering whether credit will be available in the near future. Most people have no idea how their credit score is actually calculated. Many people are surprised to learn that 65% of their credit score is based on their payment history and the amount that they owe. Most people who see me to file bankruptcy have stopped making payments on their credit cards and other debt obligations. Most of these people have a significant amount due and owing on their credit cards to the point where they have no more available credit on those cards. When looking at a typical bankruptcy prospect’s credit history, there will not be a significant change to their credit unless they take the affirmative action of filing bankruptcy. 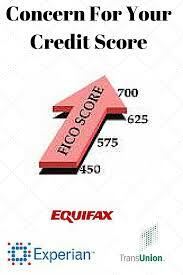 Most people are surprised to learn that their credit score will rebound to a decent extent anywhere from six months to two years after filing for bankruptcy. What’s most important is their conduct vis-à-vis their credit after the time that they file for bankruptcy. For example, the amount that they owe, which makes up 30% of the credit score will be reduced to zero. If they are able to open up any new credit whatsoever, that will account for 10% of their credit score. What I’ve seen time and time again are clients who have filed for bankruptcy and have rebounded very quickly. They have gotten into vehicle financing immediately after filing. They have called me two years after filing to let me know that they have now purchased a home and they just wanted to thank me. If they never filed for bankruptcy, there is no way that they would be in a new home at that point. So the take away from this message is to be concerned about your credit score. It is important as to the type of credit that you can obtain and the cost, long-term for that credit. However, don’t fail to get out of debt under some false belief that you are protecting your good credit and your good credit score. The best way to take control of your situation is to turn everything around for yourself. It’s best to eliminate the debt and to start to rebuild your credit. If you are still in doubt or if you would like to see more positive evidence, Google “credit after bankruptcy” and see if what I’m telling you is completely accurate.